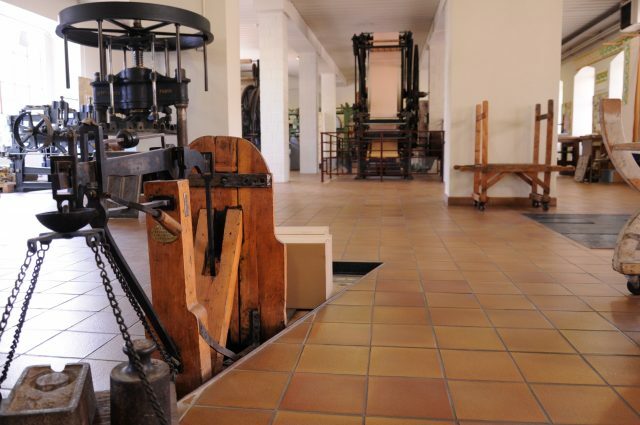 The Museum’s permanent exhibition consists of a room with an explanation of the manufacturing processes and eight panoramics, or scenic wallpapers, manufactured by Zuber of Rixheim. 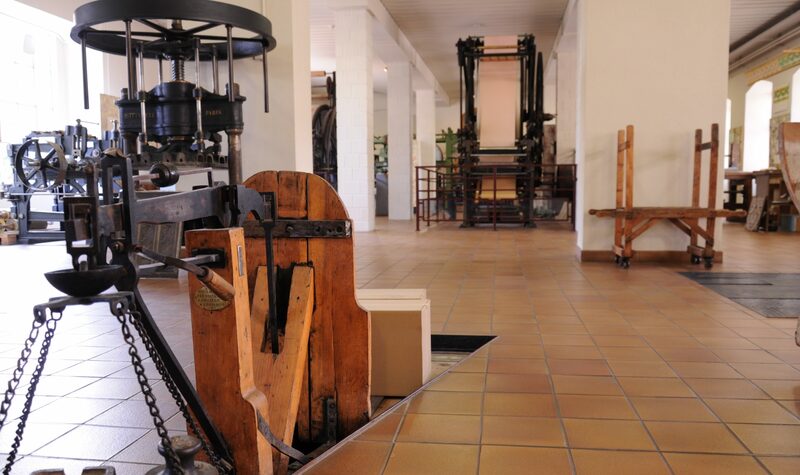 The technical room presents the various processes involved in producing a wallpaper: paper production, colour, grounding, block printing, machines for printing by way of engraved rollers or intaglio printing, embossing and flocking. The eight panoramic wallpapers displayed on the 2nd floor of the Museum represent some of the most original designs produced by Zuber of Rixheim. The themes displayed are historical scenes (Greek war of independence) or views of exotic countries (India, Brazil, North America). From 1840 onwards, the human form disappears in favour of idyllic scenes from different parts of the world (Eldorado, Regions of the Earth). 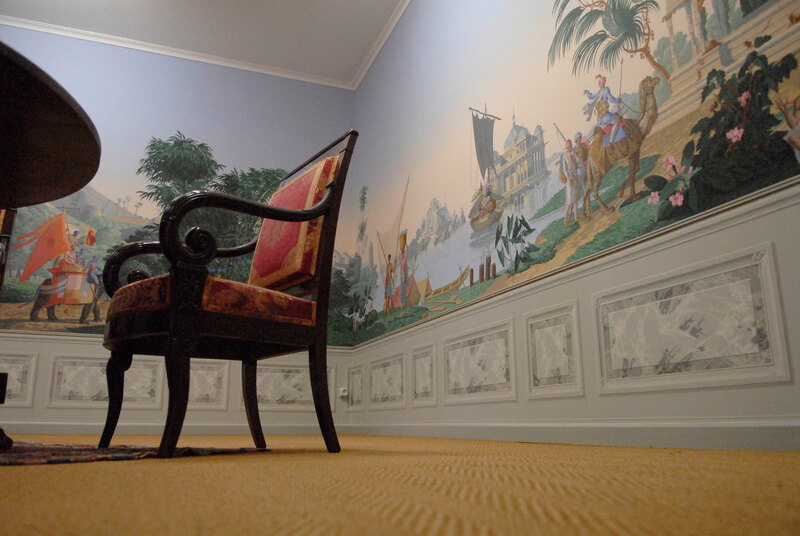 The panoramic displayed above the staircase was created by the designer Alain Le Foll in 1975.